Oatly’s mission to turn the masses towards non-dairy options continues with their newest mural in Shoreditch, London. The striking advertisement for Oatly’s oat milk features a simple, black and white milk bottle outline containing the words ‘DITCH MILK’. 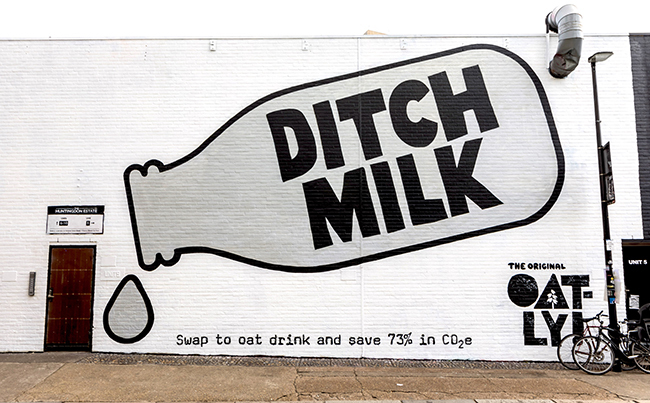 At the bottom of the mural, passers-by are encouraged to ‘swap to oat drink and save 73 percent in CO2 emissions’. This mural is the latest addition to Oatly’s campaign for non-dairy produce. It follows the posters that recently appeared around London, explaining how Oatly is ‘like milk but made for humans’. 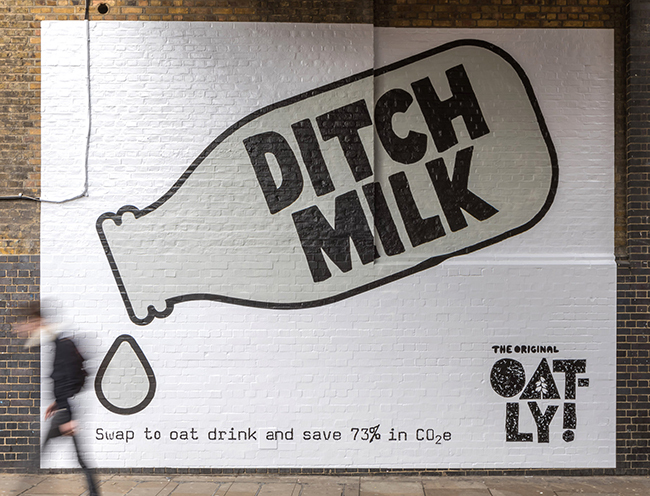 Clearly, Oatly’s eye-catching and provocative advertisements are inspiring UK consumers to switch up their diet. Their new, bold demand for change certainly seems to be working.